on my site we don't use the hits and the rating for our books. So, how can we disable the result-page of the frontend ? or and which site we have to change the code ??? I got almost the same question here. I don't really need the rating parts. 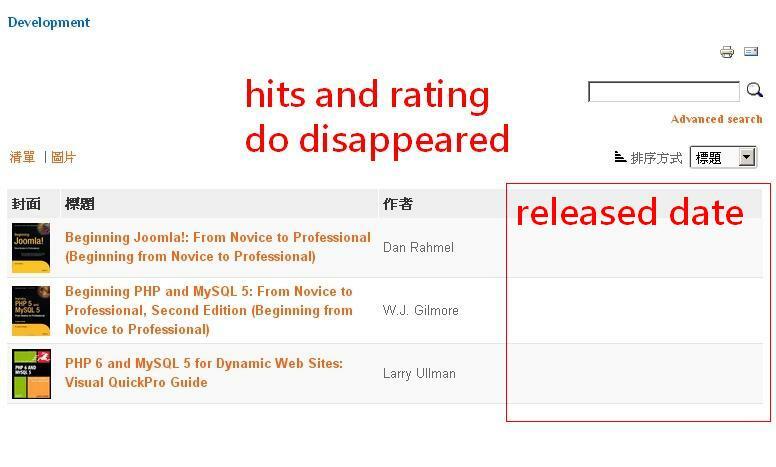 After I changed these codes , the hits did not show up anymore,and the rating in category also disappeared. 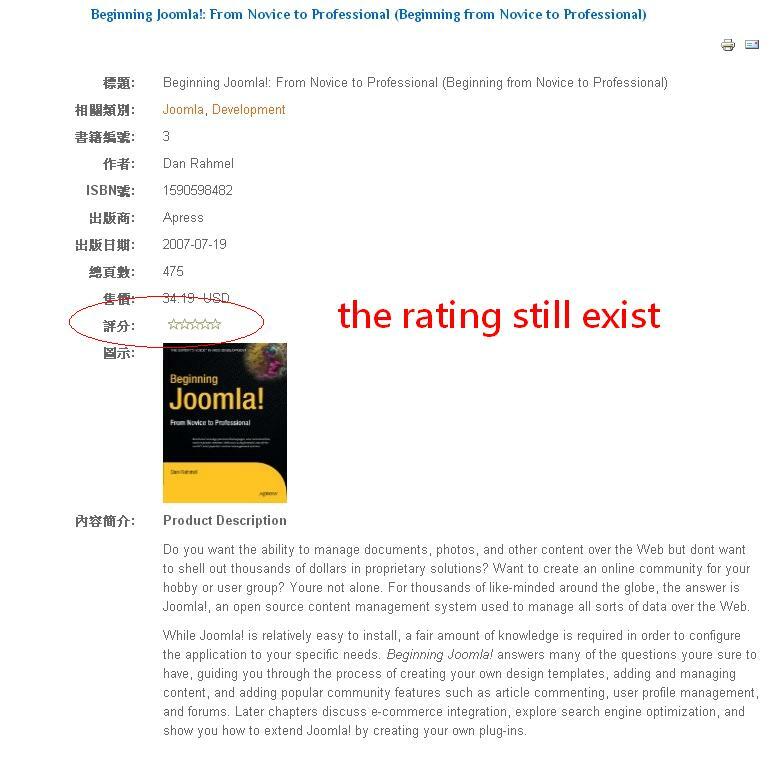 But the rating in specific book still exist as you can see in the attached images. can you please tell me where should I change the codes? Further, I'd like to do the same thing as www.ordasoft.com/Forum/BookLibary-Compon...t-of-books.html#4786, to make it looks like "Book’s cover – Book’s title – Publication date" . Please help me to figure out what to do. Thank you so much. another image about the view for a book . $query = "SELECT bl.id, bl.isbn, bl.authors, bl.rating,bl.title, bl.fk_lendid, bl.date, bl.hits, bl.URL,bl.imageURL ". $query = "SELECT bl.id, bl.isbn, bl.authors, bl.rating,bl.title, bl.fk_lendid, bl.date, bl.hits, bl.URL,bl.imageURL, bl.release_Date ".